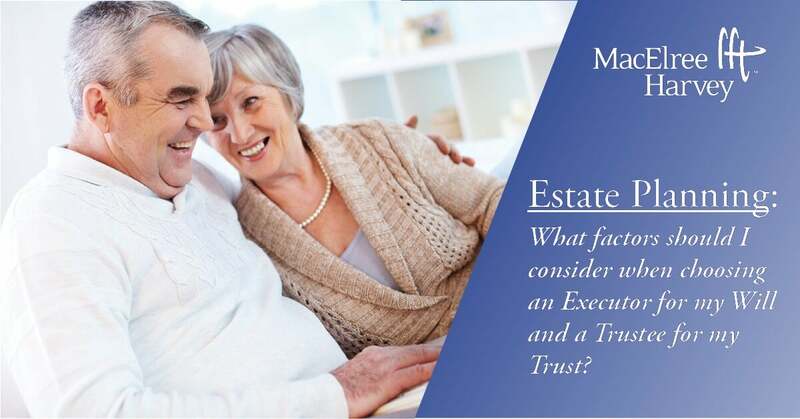 Home > Estate Planning: What factors should I consider when choosing an Executor for my Will and a Trustee for my Trust? By Duke Schneider, Esq. and Don Bristol, Pa.C.P. When contemplating your estate plan, one of the items often assumed to be a simple task is the decision as to the naming of the executor of your Will, or the Trustee of any trusts created under your Will. For married couples the spouse is almost always the first named. After that, it is almost always the children or other members of the family. The best practice is to have some sort of succession plan in mind when deciding who will be responsible for administering your estate or trust when you’re gone. A consideration in naming children or other family members is whether they will have the sophistication to serve, and the time to handle the tasks associated with their fiduciary duties. If you’re thinking of naming your children as executors or trustees, consider whether you are going to name them in some sort of hierarchy, or if you are going to name them as a group. 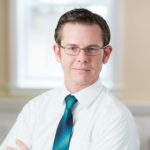 Naming children in a hierarchy does not necessarily mean “I love you more” or “I trust you more than the others.” We counsel clients to speak with their children about the duties entailed in administering an estate, and to consider the effectiveness of a single fiduciary versus a group of fiduciaries being called upon to review and sign documents and facilitate the administration of the estate. 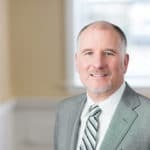 For various reasons, including geography, sophistication, and “life issues,” it is not uncommon for clients to lack a depth of choices among family members to serve as executor or trustee. In these situations, corporate fiduciaries (bank trust departments or trust companies) are a good choice to serve. And while these fiduciaries are paid for their services, their fees are usually quite reasonable. Naming a corporate fiduciary can also give clients confidence that the fiduciary duties will be carried out timely and professionally. If any of these should renounce their right to serve, the Register of Wills may appoint someone to succeed them in preference to the above order of successors. A guardianship support agency serving as guardian of an incapacitated person who dies during the guardianship administered pursuant to Subchapter F of Chapter 55 (relating to guardianship support). A redevelopment authority formed pursuant to the act of May 24, 1945, known as the Urban Redevelopment Law. Is this how you’d like your executor or trustee to be selected? If not, be sure thoughtfully to plan out and dictate a solid succession plan for your executors and trustees. Together, Duke Schneider, Esq. and Donald P. Bristol, Pa.C.P. work closely with individuals on a wide variety of wealth management, business succession and estate and trust administration matters. If you’d like more information about our estate planning services or to schedule a consultation, please complete the form or call our office at 610-436-0100. « Does Insurance Cover Contractors for Claims of Defective Work?